Spine-related issues are among the most common and painful musculoskeletal conditions. Modern Spine was established to deliver comprehensive and state-of-the art care for all aspects of spinal disorders in order to maximize each and every individual patient’s outcome. 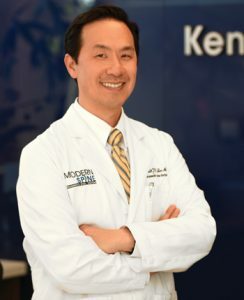 Dr. Lee is a board-certified spine surgeon, uniquely trained in both orthopedic spine and neurological spine surgery. This dual-fellowship training is rare and considered to be the highest level of spine surgery training. Dr. Lee’s treatment philosophy is focused on compassionate, conservative and evidence-based care. Educating patients is of the utmost importance. 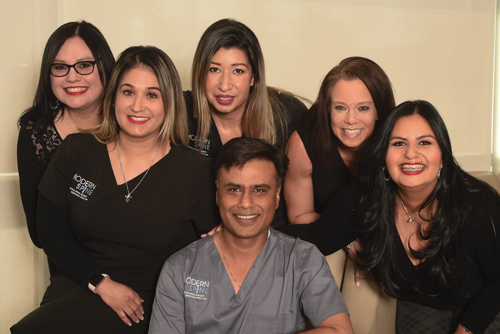 Dr. Lee and his team strive to spend all the time necessary with their patients to ensure that they have a clear understanding of the advantages and disadvantages of conservative care and possible surgical intervention. During his time with each patient, Dr. Lee works to develop a genuine relationship based upon trust and mutual respect. In that regard, Dr. Lee has been awarded the Patient’s Choice Award for seven consecutive years. He has been featured in Newsweek, “The Science of Healthy Living” issue, in the “Best Doctors in Texas” section. He has also been spotlighted in H Texas magazine’s “Ask the Expert” column and selected as one of the “Super Docs” in Living magazine. In addition, he has been featured on CBS and Fox as a pioneering surgeon using the most modern and minimally invasive spine-surgery techniques. Dr. Lee is actively involved in research projects, as these endeavors help him identify and adopt new technologies and procedures to assist patients in returning to a normal and productive lifestyle. The majority of his patients improve from a multi-disciplinary conservative approach. If surgery is required, the practice specializes in minimally invasive spine surgery, with many procedures performed on an outpatient basis. Dr. Lee and his team welcome the opportunity to provide you with personalized care using the most successful treatment and surgical options available to relieve your neck and back pain.